A plaque will be erected in Derry next month to remember the volunteers from the north west who fought with the International Brigades in Spain during the country’s civil war. 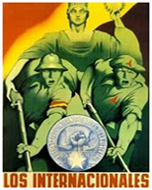 More than 20 men from Derry, Donegal and Tyrone were killed fighting as part of the International Brigades in Spain during the war between 1936 and 1938. 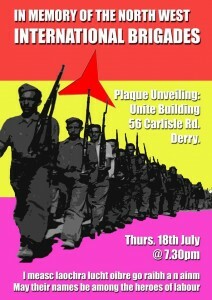 The plaque will be erected in the Unite Building, Carlisle Road, on Thursday July 18th at 7.30pm. 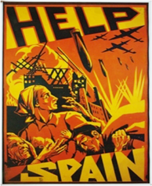 It follows a long campaign by the North West Spanish Civil War Project, a local group set up several years ago to commemorate and raise awareness of the men from this area who fought in Spain. The commemoration will include representatives of the trade union movement as well as relatives of those who were members of the International Brigades. 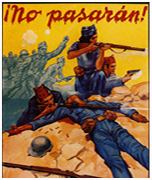 Alongside the plaque unveiling, the North West Spanish Civil War Project are planning to release a complete programme of events to commemorate the local volunteers. The events will include an exhibition, film screening, talks, and a social evening. The unveiling will be followed by a short reception in the union building before the celebrations move to Sandino’s Bar, Water Street where there will be an evening of workers’ songs and poetry. This entry was posted in Events, News and tagged Carlisle Road, Derry, International Brigades, Spanish Civil War plaque, Unite Building. Bookmark the permalink.